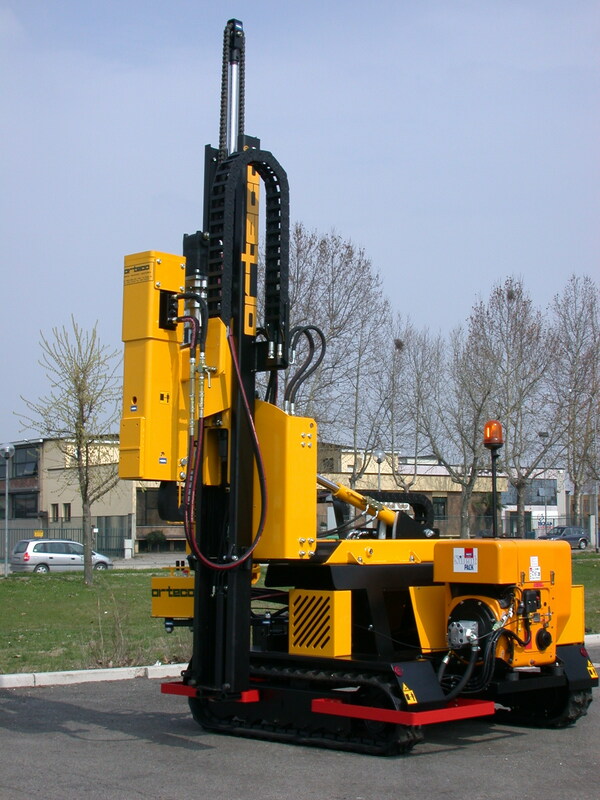 The "SMART"crawler mounted pile driver is a complete machine designed for all drive jobs where productivity is the main element. 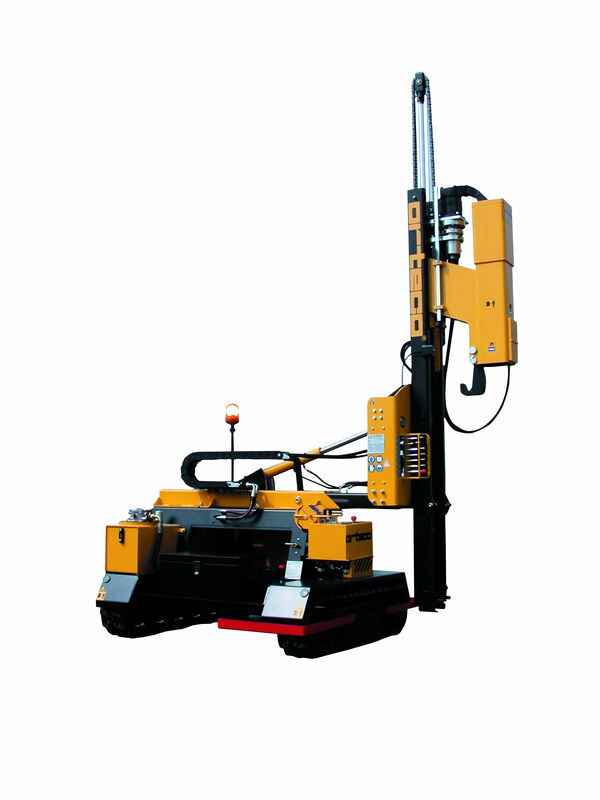 This machine allows to fix the posts with great precision thanks to its stability. Only one operator can position the machine and insert it. 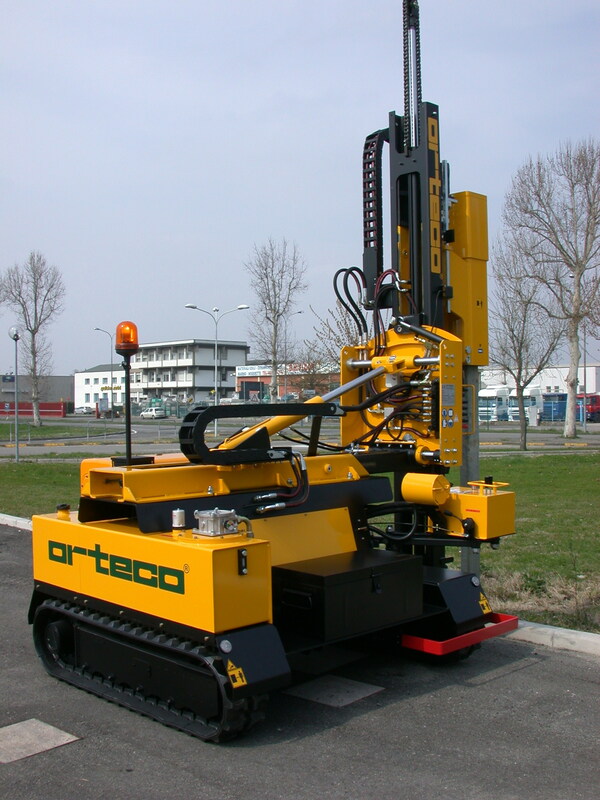 This new project of the "SMART" crawler machine, allows you to remove the pile-driver structure from the tracked car to be able to mount it on the truck body, in order to offer our customers the opportunity to have the most suitable machine for every type of job. In addition, the customer, who already own a pile driver structure, he will be able to purchase the crawler carrier later. The "SMART" tracked car can be equipped with a 600 J or 800 J pile driver and is a good choice for those customers who need a light and efficient machine.